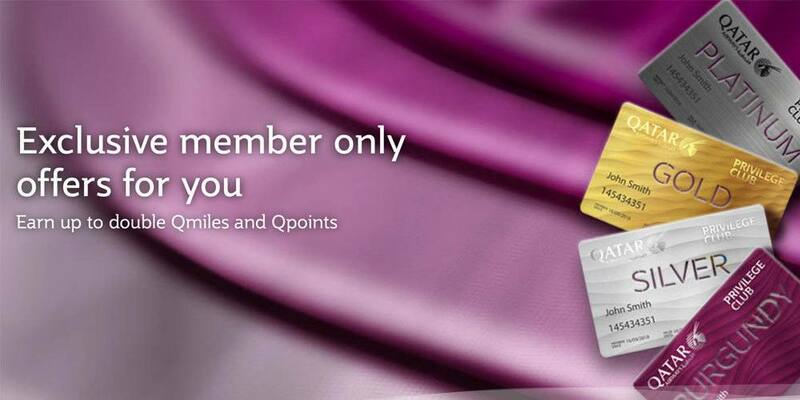 Mitglieder im Privilege Club von Qatar Airways erhalten doppelte Qmiles und Qpoints. Die Buchung muss bis zum 28.02.2019 erfolgen. Privilege Club von Qatar Airways hat wieder eine doppelte Qmiles und Qpoints Promotion aufgelegt. Ganz wichtig ist, dass die Buchung bis zum 28.02.2019 erfolgt und die Anmeldung zu dieser Promotion muss im Dashboard unter meinen Angeboten erfolgen. Auch muss die Privilege Club Mitgliedsnummer auch direkt bei der Buchung angegeben werden. Die Promotion gilt auch nur für Flüge die von Qatar Airways durgeführt werden. Sie Sammeln doppelte Qmiles und doppelte Qpoints in den Premium Klassen oder 50% Qmiles und 50% Qpoints in der Economy Class. Bei telefonischen Buchungen sollte der Code 1812PC091 erwähnt werden, um an dieser Promotion teilnehmen zu können. Die Angebote mit doppelten Qmiles und Qpoints häufen sich, was auch die Probleme bei Qatar Airways zeigt. Es wird ja auch jetzt der Lounge Zugang verkauft. Das Programm hat nur Sinn, wenn man auch oft mit Qatar Airways fliegt. Ansonsten ist es zu empfehlen bei einem anderen Programm zu sammeln, da es ja auch eine grosse Devaluierung beim Privilege Club gab in 2018. ● This offer is applicable to Privilege Club main members. ● Booking Period: 7 January 2019 to 28 February 2019. ● Registration period: 7 January 2019 to 5 March 2019. ● Travel Period:7 January 2019 to 31 August 2019. ● To be eligible for this offer, members need to register for this offer on or before 5 March 2019 by logging into their account at qmiles.com and selecting this offer from “My offers” on your dashboard menu. Member whose travel date is before 5 March 2019 should register at least 24 hours prior to travel. ● To be eligible for Bonus Qmiles members need to ensure they quote their Privilege Club number at the time of booking or check-in so that bonus Qmiles can be credited automatically after travelling. at qmiles.com; offer registration will be available for new enrollees within 24hrs from the time of enrollment. ● Existing tickets issued prior to the offer booking period; will not be eligible for the promotional bonus, if reissued during the offer period. ● Members will earn bonus Qpoints and Qmiles over the Base Qpoints and Qmiles earned on Qatar Airways flights during the offer period. ● Offer is applicable only for flights operated and marketed by Qatar Airways. ● Tier Bonuses, promotional bonus and family accrued Qpoints and Qmiles will not be taken into account in the calculation of the offerbonus. ● Bonus Qpoints and Qmiles are calculated based on the combination of Booking Date, Flight Date, Cabin and Fare Family Purchased. ● Offer is applicable only for flights marketed and operated by Qatar Airways. campaigns, members will get the highest bonus currency. ● Term currency refers to Qmiles, Qpoints or Qcredits. ● Members may use this offer more than once during the offer period. ● Offer is not applicable for tickets booked prior to booking period start date and after booking period end date. ● Should you have any queries regarding this offer, please quote the offer code: 1812PC091 when you contact our Member Service Centre.